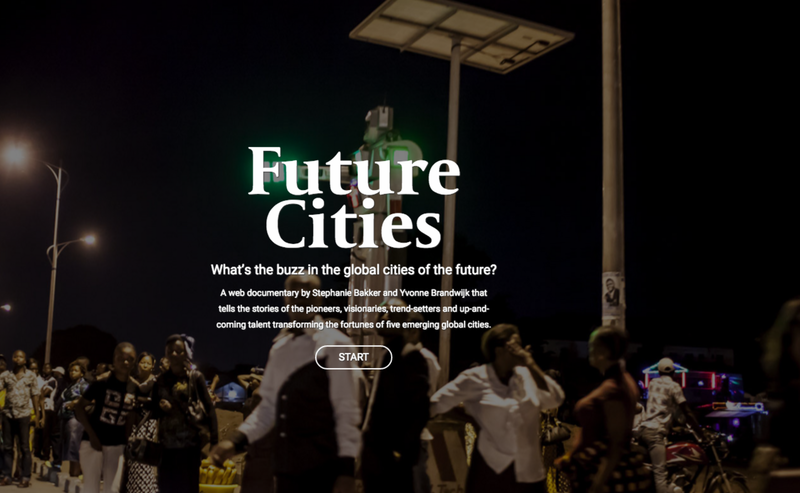 Future Cities is a transmedia project about five exciting emerging urban areas, the people and stories behind the demographic and economic statistics of urban growth. Everyone knows Mumbai and Shanghai are booming, but we choose cities that will challenge them the next 10-25 years when it comes to entrepreneurship, innovation, growth and creativity. Future Cities is an experience: In the web doc the story will be told by main characters. Through video, audio, photos and words readers will be drawn into the personal stories of people who are leading the transition in their city. By combining different media we create a experience of being in the heart of a Future City. You will feel sympathy for its inhabitants, hear the city and feel its energy.